Is your website working hard for you? We know that web projects don’t end once your site is live. Make sure your website is bringing in leads, driving revenue, and helping you reach your goals. We create long-term digital marketing plans to drive qualified leads and grow your bottom line. From setting the strategy to writing content and designing ads, we’re your online growth partner. Our digital marketing tool belt includes strategy and planning, SEO, paid advertising, lead generation, content marketing, social media marketing, and ROI reporting. Who are you trying to reach? What are your big goals? What are the right channels to reach your audience? We tailor our growth strategy to your audience and goals. Online marketing is changing fast, so we continually tweak the game plan to maximize the return on your investment. Get in front of your target audience and rank higher in Google search results. Our team will define and implement the most effective keyword strategy for your business, manage your onsite SEO, optimize site performance, and keep an eye on your rankings. Ready to supercharge your growth plan? Our digital advertising pros drive results with ads on Google, Facebook, and LinkedIn. We find where your customers spend time online and target their interests and searches with ad campaigns. We follow the ROI and report on every customer’s journey from click to conversion. Get more qualified leads and grow your bottom line. Our data-driven approach to lead generation means more leads and a faster path to ROI. We use our data to tweak and improve your digital marketing strategy for optimal results and to make sure you’re getting the right type of customers. Content is still king. Share your big ideas and expertise to earn loyalty, improve organic search results, and promote your business. Our team uses a tested content-writing formula to craft the perfect content. Meet your audience where they are — on social media. Our social media marketing pros will help you find your audience and share the content they’re looking for. If you’re spending money on digital marketing, your strategy should be guided by data. 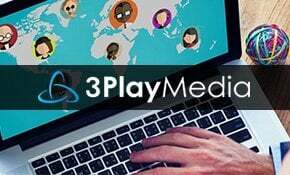 3 Media Web implements reporting that tracks and analyzes results from our digital growth strategies. Get insight into website traffic, conversions, social media channels, content marketing, and SEO efforts. SEO is short for “search engine optimization.” When someone searches a phrase in a Google search, what results do they find? These searches are called “organic searches,” meaning your site is ranking naturally for those search terms. Digital-growth experts use optimization techniques to rank your website higher than your competitors so that you can generate more revenue from Google searches. What’s the difference between SEO and Google Ads? Google Ads is a paid advertising medium that allows you to buy ads on keyword searches so that your website can rank above the competition. Often referred to as “pay per click,” Google charges a fee based on the number of clicks from the ad to your website. Google Ads, when managed by a certified and seasoned expert, can immediately generate leads for your business. Organic Google search results cost nothing to display, but money is spent on the techniques (and time) that is used to gain those high-visibility searches. In the end, there’s a cost to SEO, in the form of time. The positive effects of SEO techniques can take up to a year. In our experience, when used in tandem, Google Ads + SEO are high-yielding contributors to lead generation and revenue growth that both require investment. Will a new website affect my current SEO ranking? A new WordPress website built by 3 Media Web will positively impact your SEO ranking. To organically place in the search engines, any pages that 3 Media Web builds will adhere to search engine best practices, including clean coding to W3C standards, page titles, and meta descriptions. The result is better searches with high search engine rankings and no loss in any existing search engine placement. Can you get us the No. 1 spot on Google? Depending on the search term and budget, there’s always a way to obtain the No. 1 spot on Google search. The question is, can you do it with the budget you have allocated to your digital-growth campaign? That’s a great question and one we would love to answer, so hop on a call with us today to review your digital marketing strategy. How do I get more qualified leads from my website? Developing a digital marketing strategy and engaging in an integrated digital marketing plan is the best method to gain leads to grow your business. 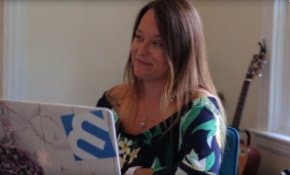 You will also need a partner who has the design, tech, and analytics chops to be able to pull off a successful digital marketing plan that creates revenue growth and positive ROI. Need help generating more leads? Give us a call today. We can help. 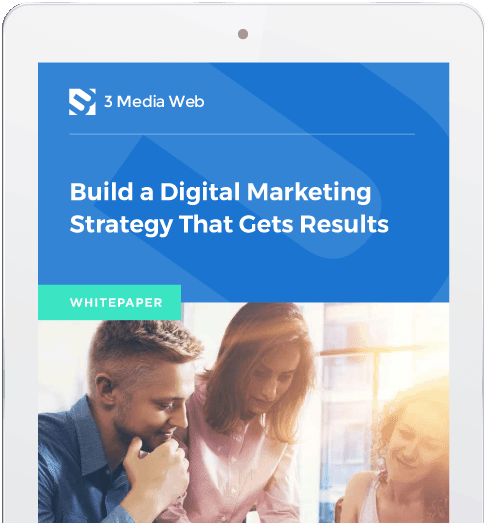 Download our guide “Build a Digital Marketing Strategy That Gets Results” to learn best practices from our expert web team. Don’t worry. No silly forms to fill out. Do you need help with digital growth? Looking for a quote? Fill out this form, and we’ll get in touch.